Hello October! You've caught me quite by surprise. I was pretty sure it was just August and I'm not sure how I missed September but here you are, and you are here to stay... well, at least until November takes your place in my planner. So, I'm feeling a bit behind. It's October 4th and I haven't done a single new Fall or Halloween project. I have a list of them on my "to-do-someday" list but they are still imaginations that are in waiting. Instead I'm dreaming up other creations and even thinking about Christmas - eeek! Now that is a bit scary but that's kinda the point of my post today. We've been busy here at my house, lots of things happening but mostly this time of year we are busy doing photo shoots. My cute hubby and I have a little photography business and it seems late August through mid November we are busy with shoots, edits, proofs and all things photo. I LOVE IT!. I love photography and I love capturing little glimpses into who people are, their family dynamics and their beliefs. Here's one from a session we shot last week .... love the message and fully know that this mom believes it. We always try and ask our clients what they will be using their photos for. Our sessions lately have been mostly about Christmas cards. It's just that time of year. 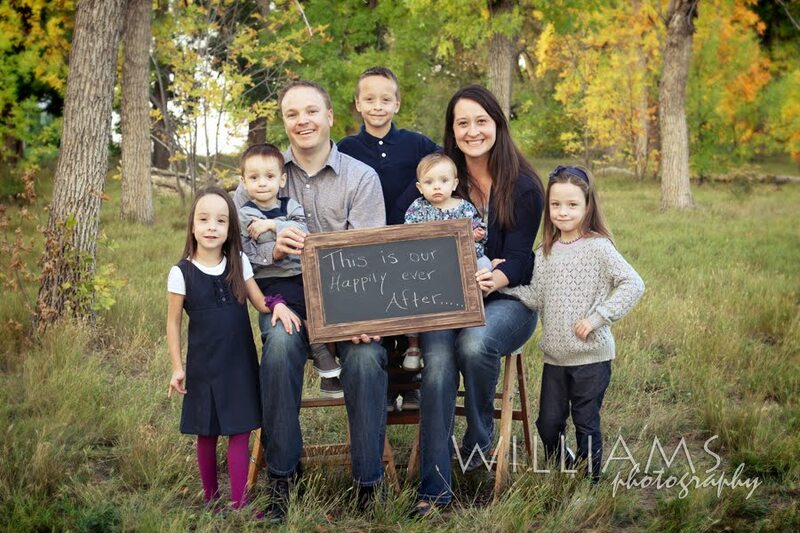 Families want photos for their cards and yearly newsletters. I'm no different. I've found myself more than once checking out websites and card designs. 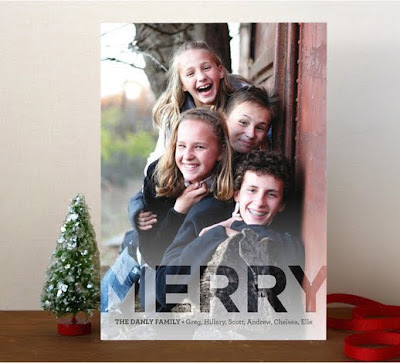 I've been dreaming up my own family Christmas cards and as luck would have it, I was contacted by the fabulous www.minted.com/holiday-photo-cards. Have you been to their website lately? No? You totally should. Their designs are amazing. You can pretty much get anything you need there, well maybe not milk, but if you need Stationary, business cards, holiday cards, wedding invites.... you get it, they can do it. I've been tempted to order some mommy cards because I think that's just how all the cool mommies roll. And check it out. 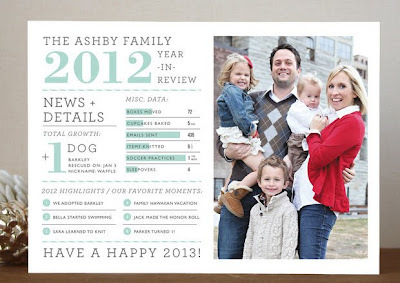 Minted has just rolled our their new Holiday designs for 2012. I've been spending some time narrowing down my favorites. These are at the top of my list for Christmas Card designs. I love all the stats in the left column. Our family would totally say +2 for guinea pigs. And, I love the playfulness of this one - so, so, cute. To be honest, they had so many, I was having a hard time choosing. So, while I ponder my choices, how would you like to win a gift certificate to their site? Of course you would LOVE that. And, guess what? I have one that I get to give away. 2- Enter by leaving me a comment, tell me which of three cards you think I should order. 3- Get an extra entry by going to www.minted.com browse around for a bit and then come back and tell me about something you found that you love. 4 - and if you want an extra entry, head on over to their facebook page and say hello - be sure to tell them you're stopping by from Then She Made! After you do that, come back and tell me it's done! 5 - The giveaway will be open for one week and all entries must be in entered by midnight on Thursday, October 11th. The winner - sorry, there will only be one - will be chosen and announced on Friday, October 12th. P.S. - You should know that I'm not getting anything for this. This is not a paid sponsorship nor do I get any products in return for my post. This is just me sharing a little love. Thanks www.minted.com for sending some love to my readers! I like the merry one -- so cute! But the year in review is also kind of cute. My favorite is the "Merry and Bright" one. It's got some whimsy, and makes me happy. Thanks for the giveaway! The eat sleep poop journal would be a great baby gift. I like the "MERRY" card. There's little better than happy siblings! I love the shaped announcements at mint! How fun! I like the middle one the most. But I am so not ready to think about Christmas yet. I would use the money for the year in review card for me. It has been a while since we have sent out Christmas cards, and this would be perfect . Don't know if my post are showing but I have already posted 2 and this one is after visiting minted sited and loving their journals. Got some Christmas presents taken care of. I love the Merry Card. It is what I would and might choose for myself. Thanks for the giveaway. Good luck everyone. My first choice is the "Merry and Bright" one because it is whimsical and fun like you. I'm just not sure that the five of you will be featured best in this particular one. "Merry" is my second choice. Thanks for the opportunity to do this. The minted website is true gold. I loved the Fiesta Turtleneck print because my mom loved giraffes and she was incredibly fashionable. I also loved the owl and tree of life prints. I think I might order business cards from them because the designs are unique. Thanks for the recommendation and the opportunity to win the prize. It's me, again. I've liked Minted on Facebook and told them you said hello. Can you tell that I really want to win the gift certificate? I think you should order the Merry one, I love it! I am IN LOVE with the Chalkboard Quotes Christmas card...how adorable is that? I liked their page and left them a comment...thanks so much! love discovering new companies with products I adore! I really like the Merry one. It just looks so beautiful. Simple, plain but classic. I say MERRY! (As long as you can fit everyone in there!) love! I just love card #3. It is so full of the wonder of christmas. On their website I loved the 'Merry Floral Holiday Photo Cards'. I like the vintage look it has. personally, I would do the year in review...LOVE that style! LOVE the idea of a holiday postcard!! Love the second design but they are all great! 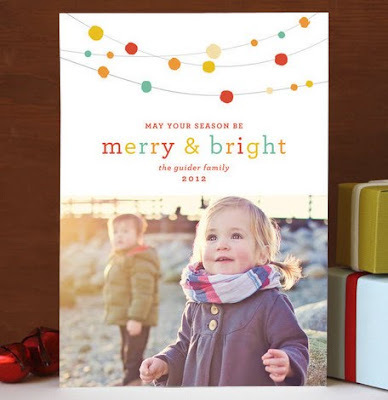 Love all of their new holiday card collections....they are incredible! Visited them on Facebook...thanks for a fun giveaway! i like the stats one...if you want to not worry about writing much of a note! I love, love, LOVE the year in review! Such a unique way to highlight your family's growth, accomplishments, etc. for those you can't keep in touch with as often as you'd like. VERY CUTE! Visited minted.com and liked the wedding thank you cards, i am a little behind on mine, gave me some ideas and a kick in the behind! Stopped by the minted FB page, so much to see! I LOVE the Merry and Bright - exactly what the holidays should be! I love the newlywed cards (Married Christmas)...got married 9/28/12!! Liked Minted and their facebook page! I like the last one best but the middle one would probably be best of a card because it has all the children on it! I've liked their facebook page and commented there. 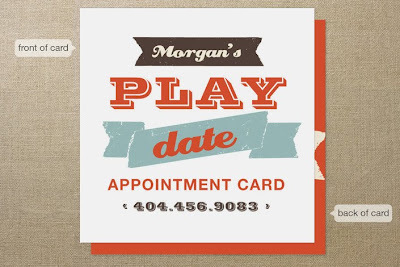 and I've looked around and would really like some business cards from Minted! I like the one with the stats on the side. It's like writing a Christmas letter without really writing it! Definitely the third one....so happy and fun!